It has been a busy week for the NGPaaS consortium. 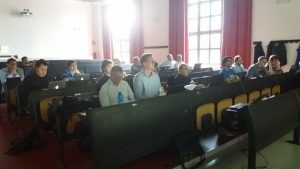 On Thursday 28th September we concluded our second face-to-face project meeting hosted at the University of Milano-Bicocca (IT). Very dense agenda to cover the different technical topics to build the new PaaS being telco-grade and supporting the mix and match feature. More will come in our deliverables.